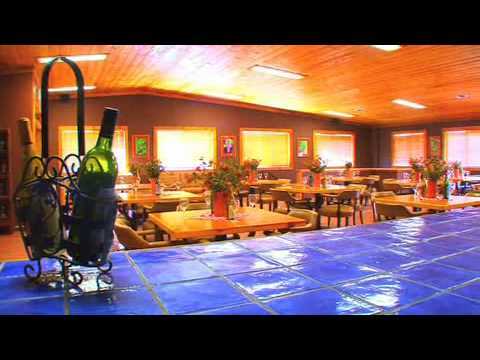 Red Cliffs Lodge will happily answer your questions and provide any information that you need. Simply fill out the form below, click "Submit" and your request will be forwarded to Red Cliffs Lodge for their prompt attention. Feel the Perfect Balance of Relaxation and Adventure. The lodge is located 14 miles up the Colorado River on scenic Hwy 128. Red Cliffs Adventure Lodge sits on the bend of the river known as "whites rapids" some of the best white water on that stretch of river. Castle Creek Winery opened its doors in the spring of 2002 moving from the downtown location in Moab. The winery building is 18,000 sq ft which houses the winery, a tasting room, outdoor deck and office space. Guests may take a self guided winery tour at their leisure. The main lodge has a 4,000 sq ft meeting room equipped with state of the art electronics for almost any type of meeting. There are three 1,000 ft break out rooms downstairs as well as a movie museum with memorabilia from the movies filmed at the ranch and the surrounding area. The museum displays items from the John Wayne era as well as recent films such as Thelma & Louise and Breakout. The Restaurant has spectacular views with terraced seating, as well as outdoor dining on the deck surrounding the lodge. To enhance your dining pleasure the Colorado River and Fisher Towers can be seen from any seat in the house. Wine tasting is offered outdoors in the center of the lodge at 4:00 p.m. daily. A continental breakfast is provided for guests in the lounge located in the main lodge. Each room has a coffeemaker, refrigerator, microwave & sink with outdoor patio facing the river. All overnight rooms have a queen size sofa sleeper, table & chairs and either 1 king bed or 2 European doubles. Activities include horseback riding, mountain biking, white water rafting, hiking, guided tours and visiting the national parks (Arches, Canyonlands and Dead Horse State Park). The lodge also offers an exercise room, laundry facility, pool and spa. Red Cliffs Resort sits high on the banks of the Colorado River surrounded by sheer cliffs. The rooms have river fronting private patios overlooking the Colorado river, a mere 100 feet away. Restaurant deck & patio face up river to the east.